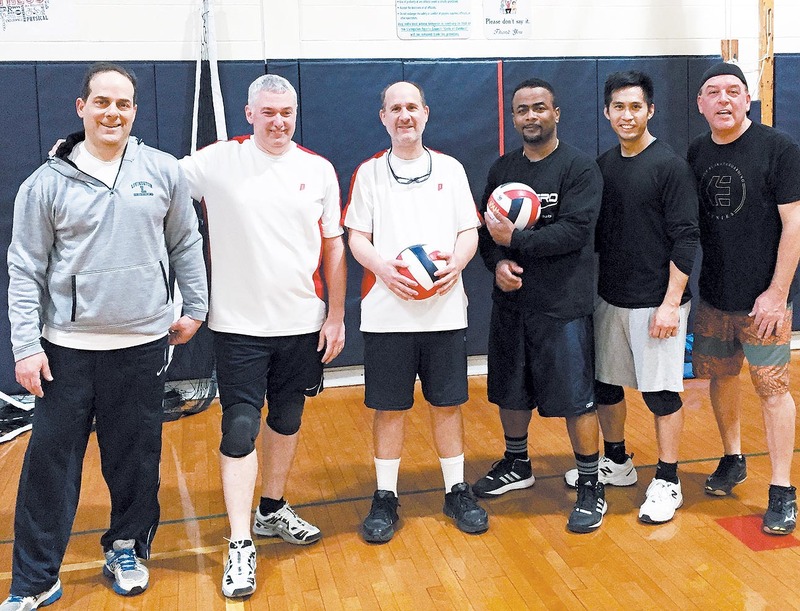 VOLLEYBALL CHAMPIONS: The Devils defeated the Guppies, three games to one, to win the Livingston Recreation Men’s Volleyball League volleyball championship. Shown here are team members Scott Doyle, Kirill Dunayev, Neil Goldstein, Champs Arscott, Allen Chen and Les Sturt. Also on the team are Boris Vernoff, Oleg Tolstenkov, and Michael Chen.